Property gurus gather to inform and inspire at the Winter issue JUNO Exchange reader seminar. Want to invest in Tesla, a vineyard, or a new Kiwi business? These are just some of the ideas suggested at the latest JUNO Exchange. The future of the bull market was the consuming topic at the latest JUNO Exchange reader seminar. The JUNO and Continental Cars Finance, Men's Health and Business Start-Up event on October 5 was an absolute success. See all the photos from the event. For the first time, the JUNO Exchange event was live-streamed for readers around New Zealand. The JUNO and Continental Cars Women’s Finance & Wellbeing seminar on June 20 2017 was a lively evening of top-notch speakers, networking and bubbles. Predictions for the financial world in 2017 look both positive and negative, said speakers at JUNO magazine’s December JUNO Exchange event. 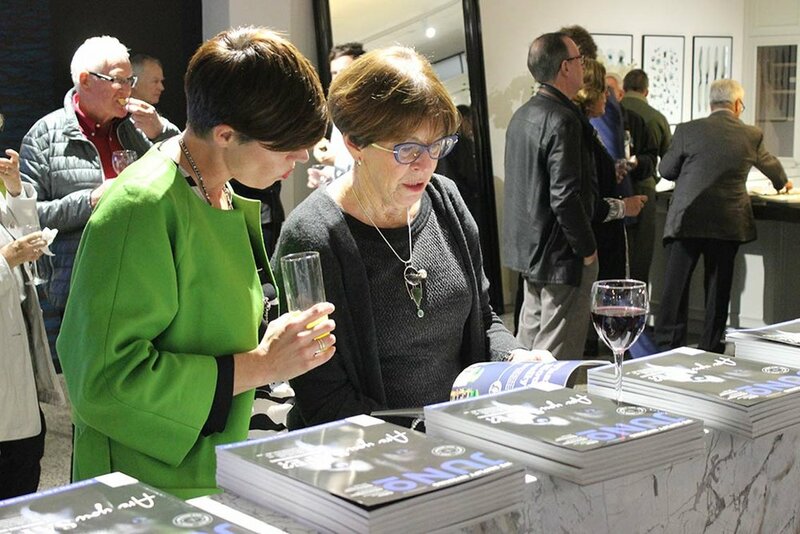 The event celebrated the end of another year of JUNO, and was attended by more than 50 people, at CBRE’s Library 27 sales office in central Auckland. This JUNO event had a truly international flavour, with speakers inspiring Kiwis to diversify their investments beyond New Zealand’s shores. Globalisation was the theme of the evening, with speakers covering a wide range of topics – from global investing to exporting to international suit trends. About 60 people attended the event, enjoying conversation, wine, and canapés at SparkLab, Seafarers Club, in Auckland. 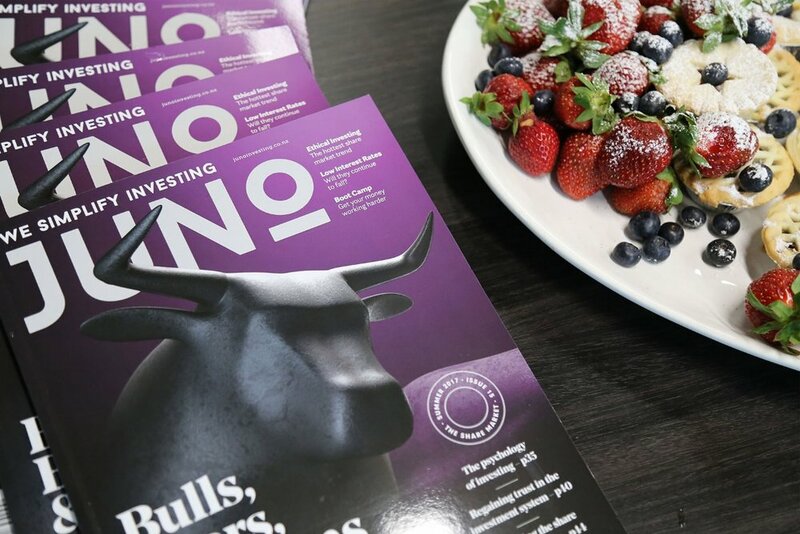 More than 50 JUNO readers met to network over a glass of wine and be inspired to improve their financial skills at a lively event in Auckland. It was the first of a series of JUNO Exchange events. A panel of experts offered insights on KiwiSaver, tax, financial planning and investment, and then the forum was opened to readers’ questions. What a fantastic evening we had celebrating Juno magazine’s first birthday and launch into the retail market. The event was held at Giltrap Audi's Auckland showroom where delicious canapés from Mint Kitchen Catering were served accompanied by Elephant Hill wines and Moa beer. With a live performance from Ladi6, fabulous food and beverages plus goodie bags filled with Ecoya candles and Triumph & Disaster products, guests were certain to have a great night!